Chase is a handsome boy who enjoys hunting with his loving family. He is a great companion hunting buddy first and foremost. 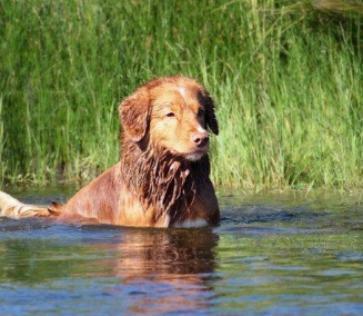 He has had a very successful career as a hunt test dog earning his AKC Senior Hunter, WCX in the US and Canada. We are still training for more field and obedience titles this coming summer. 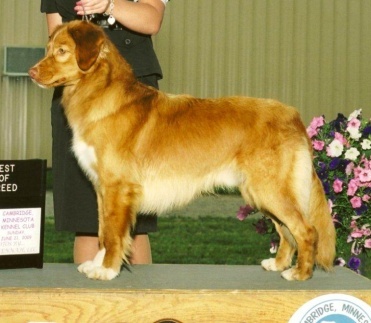 Chase earned his AKC GRAND CHAMPIONSHIP in just three week-ends. 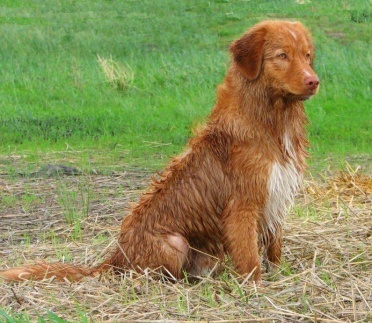 At the 2011 Canadian Specialty Chase was awarded the Fair Dinkum for the most Versatile Toller. 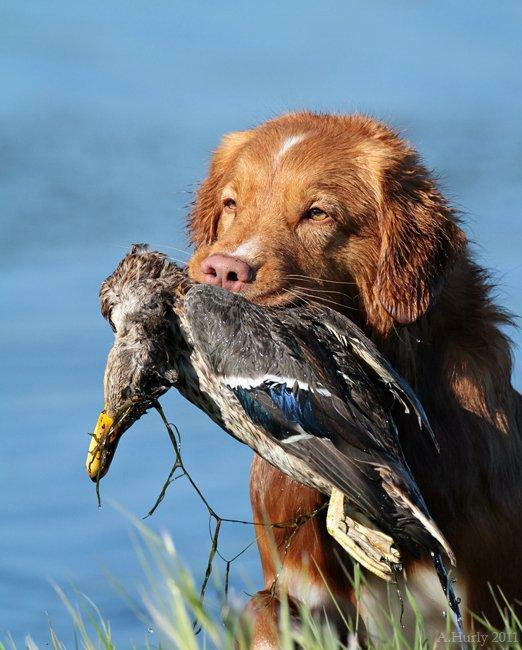 Chase truly exhibits the Toller breed in both type, temperament, work ethics, and hunting ability, obtaining numerous titles in all avenues. 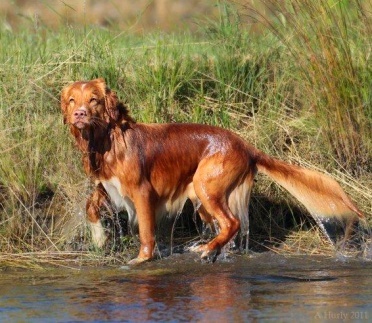 He is a definite asset to the breed and is a testament to the breeds amazing intelligence and sweet temperament which make them wonderful family companions.